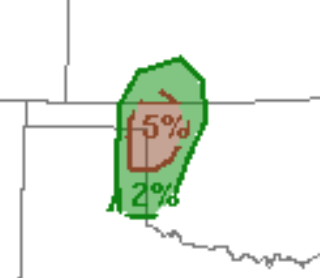 While geographically small, there is a significant (5%, brown) tornado risk in a tiny area of Oklahoma and the Texas Panhandle late this afternoon and evening. Please keep up on the weather in this area! !